This 1-day conference that addressed key concerns for companies contending with liability, cyber-security, the implications of privacy legislation from the European Commission, and the US Patriot Act. The annual conference theme was ‘Regulating the Cloud in Europe for Enterprise Legal Certainty’, with a programme designed to provide a proactive, solution-oriented approach to the legal and regulatory challenges cloud presents for enterprises. The summit focused on how the concept of liability works within the cloud environment and how it is imperative to any enterprise seeking to adopt cloud services. Speakers also mentioned the challenge of Cyber-attacks which are severely detrimental to companies using cloud services. 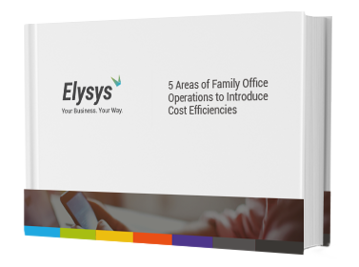 As a Cloud solution provider, Elysys understands that outsourcing for financial services companies can become a critical factor for management and cost control. At Elysys, we understand the regulatory requirements and the importance of data security in the cloud. You can read more on how Elysys built a secure cloud application by downloading our free Security ebook or read our blog post.